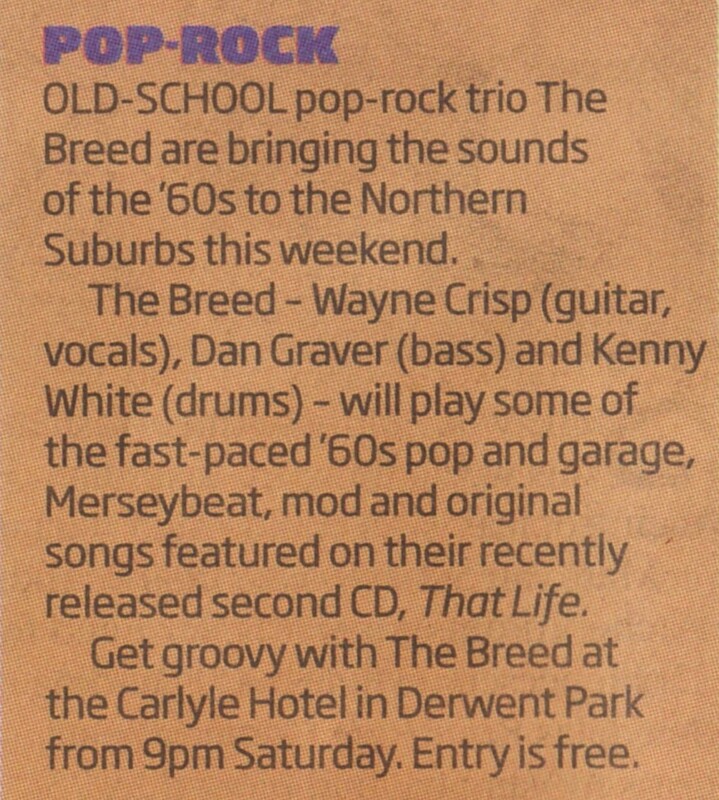 An article from the Pulse Section of today’s Mercury Newspaper promoting the Breed’s gig on Saturday 2nd February 2013 at the Carlyle Hotel. Get set for a fab. far-out and groovy time, when the Breed bring their unique blend of 60s pop/rock to the Carlyle. 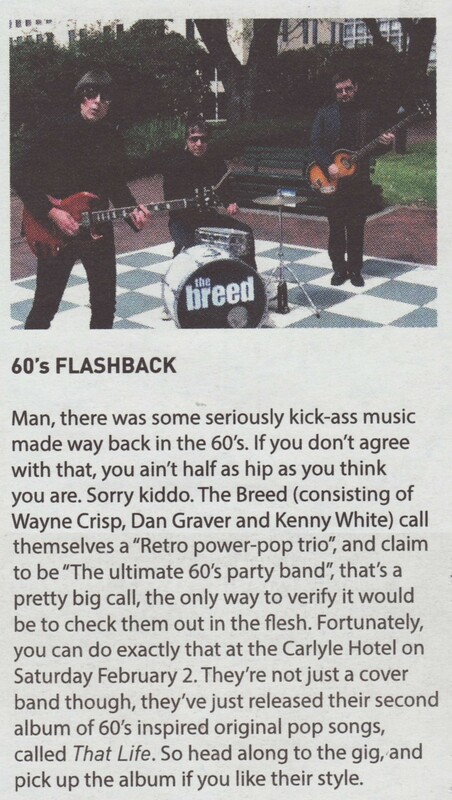 An article from the News Section of this month’s Warp Magazine promoting the Breed’s gig on Saturday 2nd February 2013 at The Carlyle Hotel. Get set for a fab. far-out and groovy time, when the Breed bring their unique blend of 60s pop/rock to the Carlyle. You are currently browsing the The Breed blog archives for January, 2013.